You are here: Home » Lindenbaum Center » Categories » Yoreh Deah » Can A Woman Be A Sandak? The halakha on this is clear cut. The Rema (YD 265 seif 11) paskens that “a woman should not be a sandak, if possible, because it is immodest”. The Rema’s opinion is very clear: a woman is technically allowed to serve as a sandak but she should refrain from doing it for modesty reasons. While the Meharam Mi’Rotenberg’s concern is that it will cause the woman sandakit to mingle with the men, a concern we perhaps no longer adhere to, men and women are both present in the shul during the circumsison ritual, it, nevertheless, seems reasonable to me to abide by this chumra. Most mohalim would likely be extremely cautious while maneuvering their hands in such close proximity to a woman. The desire on the part of the mohel to adhere to modesty standards at this time might impede his ability to do a proper job. He might be distracted by modesty considerations at the very moment that he requires optimal concentration on the baby. I therefore think it is appropriate for a woman to refrain from serving as a sandak. While the Rama restricts women from being sandakiyot, one can employ the Rabbinic axiom of מכלל לאו אתה שומע הן here, inferring an implicit leniency from an explicit restriction. Implicit in the Rema’s prohibition for a woman to serve as a sandak is a permission to do other things. Prohibiting a woman from being a sandak implies that aside from holding the baby during the ritual she could certainly be involved in other aspects of the bris ceremony. 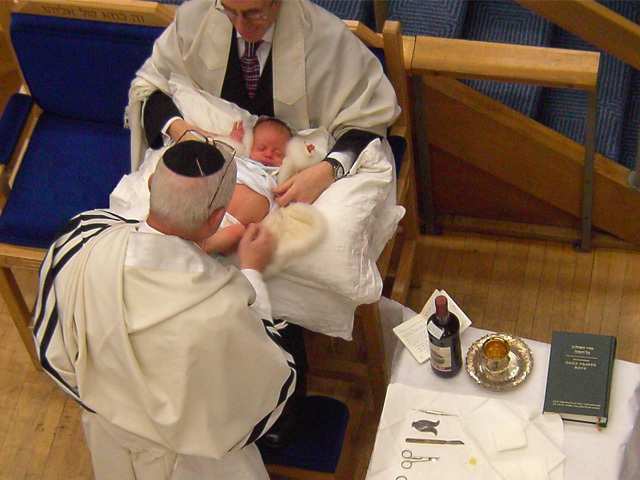 A woman can bring the baby to shul, hold the baby during the liturgical recitations that surround the circumcision ceremony, before and after the bris or be involved in any other way she chooses to help facilitate the bris ritual. As a matter of fact, a close read of the Rema (and even more explicitly in his commentary on the Tur, in Darchai Moshe YD 265) suggests that he thought that maternal involvement is ideal. He does not just allow it, he encourages it. The Magen Avraham (OC 551:3. 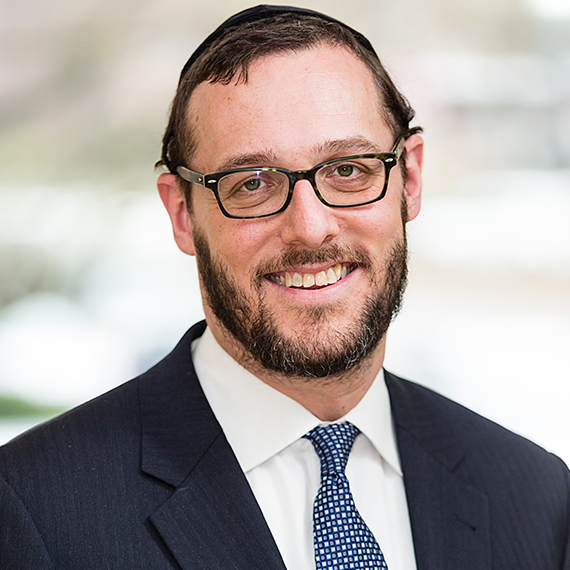 See also the Pri Megaim there as well as the Sharai Teshuva seif kattan 1) goes a step further, he actually calls the maternal role in facilitating the ritual a “mitzvah”. The Divrei Malkeil (Vol. 4 Siman 86) wants to argue that there is a halakhic reason to prohibit a woman from being a sandak. He maintains that a bris in which a woman serves as sandak is halakhically invalid. The role of the sandak, in his opinion, is integral to the process thereby making the one holding the baby an active participant in the procedure, and, since women cannot be mohalim, they also cannot be sandakiyot; the sandak, he believes, is a partial mohel. His claim requires a detailed discussion which I hope to get to soon, but for now here are briefly several reasons why I think his argument is hard to accept. A) It is clear from the context of his teshuva that he is making this argument for polemical reasons. B) The fact that all the poskim prohibit a woman from serving as a sandakit because of modesty concerns, belies his argument. Furthermore, a significant voice amongst the poskim believes that women can actually be mohalim (For a comprehensive discussion of the various opinions regarding women circumcisers, see here. and יעקב ש’ שפיגל “האשה כמוהלת-הלכה וגלגוליה בסמ”ג” סידרא 5(תשמ”ט) 149-15) C) The sandak’s role is passive, they passively hold the baby in their lap. Passive action is generally not considered legally attributable action. Others have offered more speculative reasons to halakhically prohibit women from serving as sandakiyot. Sefer Habris (YD 265 seif 148) quotes the Ben Ish Chai (Rav Pe’alim vol. 4, Sod Yesharim 11), among others, who want to argue that since being a sandak is compared to bringing incense (Meharil and R. Peretz, in Meharil, The Laws of Milah, Seif 1) or offering a sacrifice (Zohar 1:93a, 94b; 2:66b, 255b; 3:44a ) it should be limited to those who are allowed to offer sacrifices in the temple. Since women cannot bring sacrifices, they are also not allowed to serve as sandakiyot. While this requires further discussion, it is important to keep in mind that the ketoret and korban analogy, whereby circumcising a child is compared to either offering incense or bringing a sacrifice to the Beis Ha’Mikdash, is an aggadaic adornment and, as such, does not carry full halakhic weight, enough to disqualify a variation of the practice that does not conform with the particulars of the analogy. The practice of holding the baby when the brachot are recited and the baby is named is actually referred to as sandak me’umad; the standup sandak-linking them to the person who holds the baby during the actual circumcision who is called the sandak me’ushav, the sit-down sandak.